North Korea has challenged Trump's account of what caused the failure. President Donald Trump on Friday continued to strike an optimistic tone about his summit with North Korean leader Kim Jong Un, praising what he called "substantive negotiations" during his time in Vietnam despite their failure to come to any agreement on denuclearization. "We know what they want and they know what we must have," Trump said in a tweet Friday morning. "Relationship very good, let's see what happens!" Trump's claim that both sides understood each other's demands followed a backlash from U.S. and North Korean diplomats seeking to explain the impasse that led to the collapse of the negotiations in Hanoi. In a press conference on Thursday following the summit, President Trump said he chose to walk away from the talks after Kim demanded the lifting of "all" sanctions in exchange for the guarantee of independent inspections for a key nuclear enrichment plant. "Basically, they wanted the sanctions lifted in their entirety, and we couldn’t do that," Trump said. "They were willing to denuke a large portion of the areas that we wanted, but we couldn’t give up all of the sanctions for that." (Yonhap via Reuters) North Korean Foreign Minister Ri Yong Ho speaks at a news conference following the end of a summit between North Korean leader Kim Jong Un and U.S. President Donald Trump, in Hanoi, Vietnam, March 1, 2019. But hours later, in a rare news conference, North Korean officials pushed back on the president's characterization, claiming that the country only wanted partial sanctions relief. A U.S. official later conceded to reporters that the North Koreans didn't ask for sanctions on their weapons programs to be removed, but said they asked for an end to all sanctions since March 2016 that have put a major strain on the country's economy and people. According to the official, the U.S. refused that demand because those economic sanctions have put the most significant pressure on the country, costing it “many, many billions” of dollars, without which the U.S. would be “subsidizing” their weapons program. A separate North Korean diplomat later in the news conference appeared to cast a cloud over the prospect of any further meetings between Trump and Kim as a result of the disagreement. 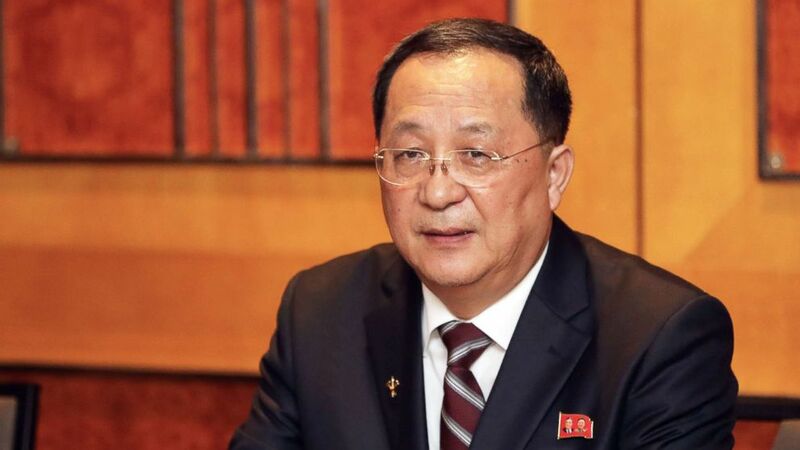 "I feel that the Chairman [Kim] may have lost the will for future dealings,” Choe Son-hui, a vice minister in the Foreign Affairs ministry said. 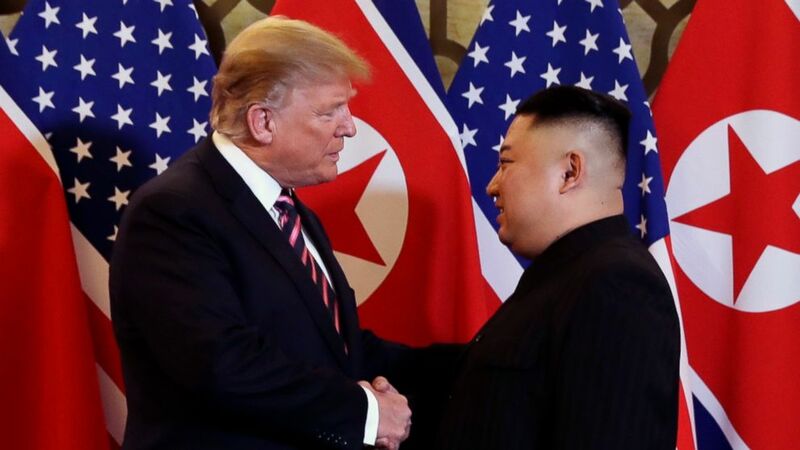 However, a statement aired on North Korea's state media following the news conference seemed to back away from such an ominous tone, saying the summit "offered an important occasion for deepening mutual respect and trust" between the two leaders. “They agreed to keep in close touch with each other for the denuclearization of the Korean Peninsula and the epochal development of the DPRK-U.S. relations in the future," the statement said. How the two countries might be able to bridge the divide in their positions remains a key question. Lawmakers in Washington struck a surprisingly bipartisan tone in praising Trump's decision not to accept the North Koreans' offer, even as many criticized him continuing to lavish the young dictator with personal praise. Secretary of State Mike Pompeo told reporters Friday in Manila that the U.S. is "anxious" to get back to the negotiating table as the two countries seek to iron out the key differences that emerged in Hanoi and come closer to achieving a deal. "There was still not complete clarity with respect to the full scope of what it is they were prepared to offer," Pompeo said. "It's one of the reasons I hope we can get back so that we can put that together." ABC's Conor Finnegan contributed reporting to this report.